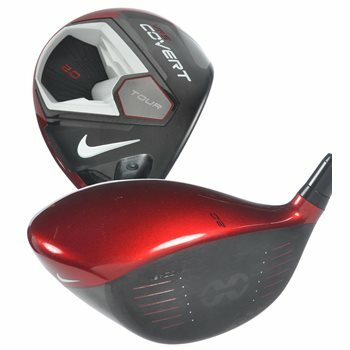 The Nike VR-S Covert 2.0 Tour driver features a 460cc titanium pear-shaped head with a 15% larger face area than its predecessor for increased ball speeds across a wider area. The all new Fly-Brace technology produces increased stability on off-center hits, resulting in more forgiveness and longer drives. FlexLoft technology is included to provide simple, independent adjustments of the face and loft angles to maximize distance and accuracy. Each driver is adjustable in half-degree increments from 8.5 degrees to 12.5 degrees.